View a Hole-By-Hole tour of our course. View Lesson info for one of our PGA Professional Instructors. A great place to hangout and work on your game! The Clubhouse at Las Positas can accommodate any size Golf event. 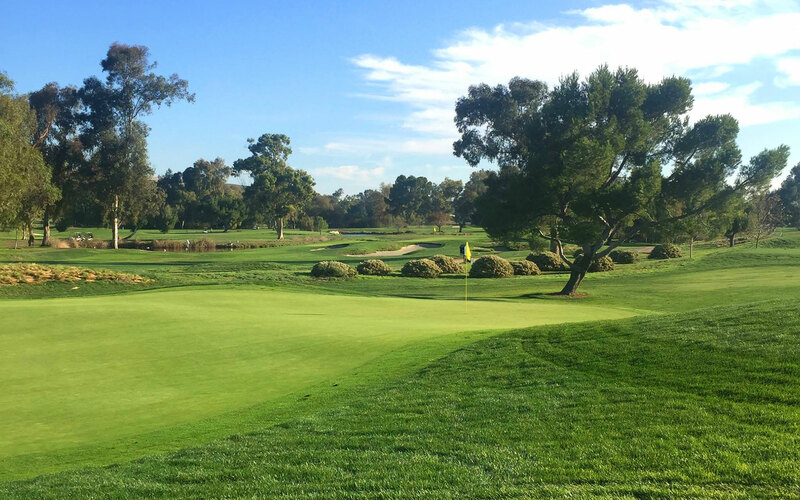 Welcome to Las Positas Golf Club, a Robert Muir Graves design opened in 1966. A 27 hole facility located in the Livermore Wine Country. The Signature 18 hole Course is a par 72 stretching a very walkable 6,723 yards. Since its opening, Las Positas Golf Course has gone through 2 major renovations, with the most recent in 2011/2012. The beautiful white sand bunkers are only the beginning of the recent $6 million dollar renovation. The Signature 18 has 5 new holes, 12 redesigned tee boxes, potable water on all greens, new drainage, new cart paths, new landscaping and a $250,000 new ‘Beeb’s at the Turn’ located at the 10th tee box are only a few of the beautiful updates waiting for you. Welcome to the Las Positas Golf Course, welcome to the family.